When I first wanted to get started recording guitars and making music from home, I didn’t have the slightest idea where to begin, what equipment was required to get started, what software to use, or anything else for that matter. Luckily I had someone with experience give me a list of equipment and software that they use for making music from a home studio, so that gave me a starting point to begin researching what I needed to get started. This guide is a similar list of items designed to help beginners get an idea of what exactly is needed to record and make music from home using a computer or even a basic laptop setup. Different styles of music require different equipment, so a lot of it depends on what you want to accomplish. There are so many free tools available online nowadays that it’s even possible to get started for free, assuming you have a computer and some listening gear like headphones or speakers. The free option isn’t optimal by any means but it is possible, and can be fun to tinker around with if you’re not sure if you want to spend a lot of money. At the very least you should expect to buy an audio interface and some good speakers or headphones, especially if you want to record things like guitars or vocals to your computer. Speaking of computers, Macs have a better reputation for reliability when it comes to audio production, but lots of people have success with Windows computers as well so don’t let that deter you. It helps to have a good processor, like a quad-core i5 or i7, with a good amount of RAM. But it’s not mandatory if you’re just starting out. Even my crappy laptop with a low-end dual-core Celeron processor handles Ableton Live Lite 9 and several plugins well enough to run 8 tracks. With Windows computers do yourself a favor and test the performance of the drivers and DPC latency before even attempting any audio recording or production. Let’s do the free section first. There is an astonishing amount of high-quality free software available online if you know where to find it, everything from fully-functional DAWs (digital audio workstations), free amp sims, free synths, free loops and samples, and free plugins out the yin-yang. ASIO4All – This allows you to use a Windows PC for audio production without needing an audio interface, using your computers inputs and outputs. However, the sound quality is sub-par and so is the overall usefulness and reliability. Checkout Bedroom Producer’s Blog for a list of the top 50 free plugins of 2015, and other new free plugins. 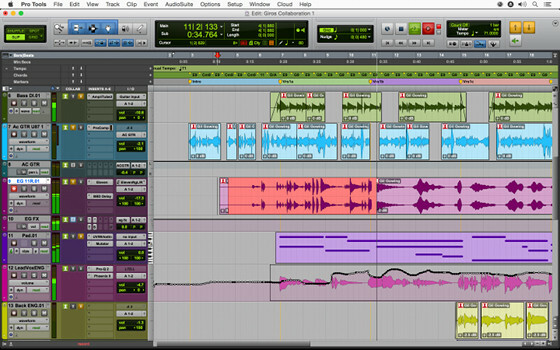 A DAW, or digital audio workstation, is software that lets you record, edit, arrange and manipulate music and audio files. Here’s a list of the best DAWs that are currently available for recording, editing and creating music, starting from just $60. Most are a few hundred for the full versions but there’s a wide range of options, with lots of entry-level DAWs starting at $99. 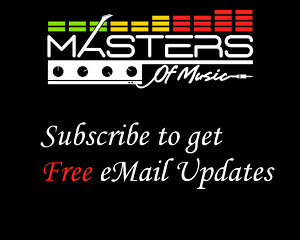 Also don’t forget the List of Free DAWs mentioned in the section above. Most audio interfaces connect to your computer via a regular printer-style USB cable, although there are other connection options as well, such as Firewire and PCI, depending on your setup. Deciding on an audio interface largely depends on what you need to record, and how many things you want to record simultaneously. 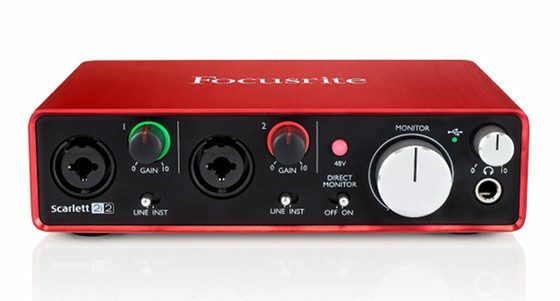 You can start out with an inexpensive $99 interface like the Focusrite Solo and have great results, although the RCA outs and single inputs aren’t optimal, making the Scarlett 2i2 at $149 a better option (that’s what I use and it works great—see my 2nd gen Scarlett 2i2 review). Something like the 2i2 works well if you only want to record one or two guitars or mics at the same time, since it’s a 2×2 interface (hence the name). If you want to record a whole band all at once, for instance, you’re going to need an interface with a lot more inputs so that you can record everything at once, like a Scarlett 6i6 or 18i8. Here’s a starter list of good audio interfaces for recording guitars and vocals. Once you get an audio interface you can plug in some studio monitors (speakers) or studio headphones to hear the vastly improved audio quality compared to the cheap sound cards on most computers. You can use regular computer speakers or headphones or some old speakers from a stereo system you have laying around but the audio quality is not going to be very good. You’re much better off investing in some studio monitors and/or headphones designed for professional audio from the very get-go. 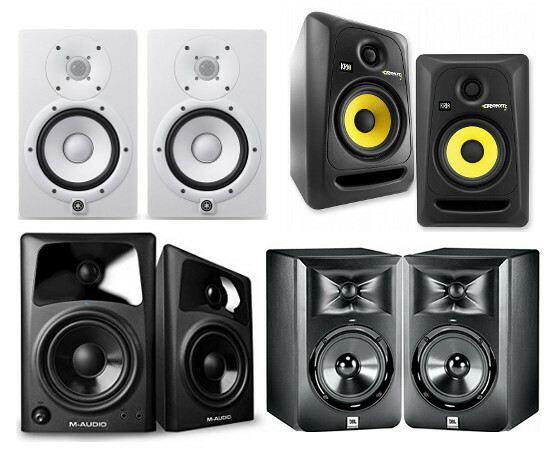 Here’s a list of some of the best entry-level Studio Monitor Speakers. You can get a starter set for as low as $99, something better for $150, and some nice ones for $300 and up. When it comes to headphones, the Sony MDR7506 is commonly-used for various professional audio applications, and it’s not too expensive at around $80. For a bit more the Audio-Technica ATH-M50x headphones are a top choice, and Sennheiser is another popular brand as well. Unless you have a specific need for headphones you’re better off putting the money toward better studio monitors if you’re just starting out. Depending on what type of music that you’re working with, MIDI controllers can be an integral part of your workflow. MIDI controllers come in all shapes, sizes, and configurations. Some look like keyboards and some just have pads or dials and sliders. Either way they’re used to trigger software commands and control virtual instruments and plugins within your DAW. For example, you can use the keyboard to play a virtual grand piano, or any other software instrument like a guitar or synth. People even play stuff like drums on keyboard—each key will trigger a different sound, depending on how it’s set it up via the software. 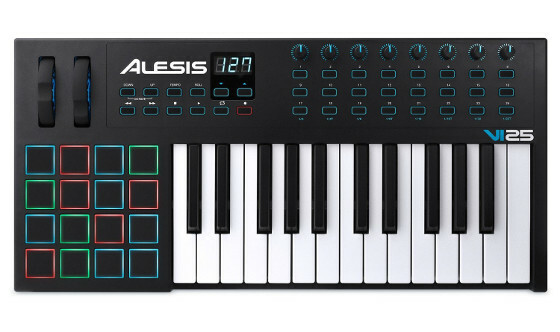 Here’s a list of the Best MIDI Keyboard Controllers with Pads For Under $200. You can find mini versions for under $100, and even a few models with full-size keys. 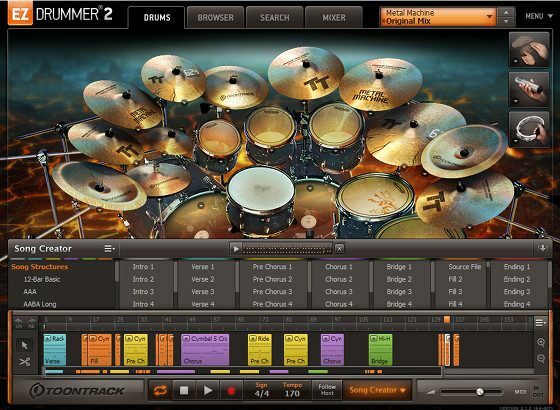 Most come with some free software to use as well to get started making music out-of-the box. Microphones – Depending on what you are recording, the Shure SM57 is a popular mic for just about everything, and the Shure SM58 is a top choice for vocals. TRS Cables – Speaking from experience, TRS cables are a better option than RCA cables to connect speakers to an audio interface. XLR Cables – Mic cables to connect to an audio interface. Mogami Cables – If you’re recording guitars or other instruments with direct input, high quality cables do make a difference. Mogami 2524 is what to get. You can even make the cables yourself to save money.